Press releases are a powerful, but frequently overlooked promotional tool that can be valuable for just about any type of business, including freelancers and entrepreneurs. If you haven’t added press releases to your marketing mix, you may be missing out on one of the quickest and most cost-effective ways to get the word out about your services. A “few” years ago, when I was in college and working as the publications assistant for the school’s public relations office, I wrote a lot of press releases…sometimes every day. At the time, there were no online press release distribution sites, and I had only a peripheral understanding of the value in writing the release, getting local contacts and mailing them out. But, I learned the in’s and out’s of proper formatting and techniques for writing a release that would get the attention of newspaper editors. Since starting my business, I’ve developed an entirely new appreciation for press releases. My experience as a publications assistant is still handy today as I draft and submit releases on behalf of my clients and (more infrequently) my own business. It really is an unmatched and underused marketing technique. Press releases can maximize your reach both in traditional media and new media: You can send your press releases out to local, industry and other targeted publications to attract the attention of traditional (i.e. offline) media. You can also submit your releases to online distribution sites to maximize your visibility in new media (i.e. online) outlets. Tomorrow’s post will provide a list of online press release distribution sites. Press releases are inexpensive: Many times, press releases cost nothing but time. Of course, you can pay for enhanced online submissions or mail your releases out with samples and other supporting information, but if you submit your release to free online distribution sites or send them out to traditional media, it requires very little investment. There are considerable SEO benefits from online press releases: If you take time to write a well-formatted and effective press release, it will contain targeted keywords, links and very specific information about your business. When your release is distributed online, many web sites, news and search engines will pick it up and it will increase your visibility dramatically. A good press release can enhance your credibility: If you consistently write and submit relevant and well-timed press releases, they can quickly increase your exposure and brand name recognition among your target audience. Plus, you can create a media section on your web site where you can list your releases as news items. You can even develop a media kit that contains your releases and other information on your business that interested parties can download. Press releases are powerful because they allow you to create news that is interesting to your target audience. Just about anything you do in your business â€“ from launching a new web site, to offering new services, to volunteering for a local charity, to speaking at a conference â€“ can be newsworthy. The most important thing to keep in mind is that a press release should not be an outwardly promotional tool, but instead, it should focus on the needs of your target audience. Your release should successfully answer the top question posed by your audience: “How will this benefit me?” If it does, you have a winning press release ready to send out to the masses. 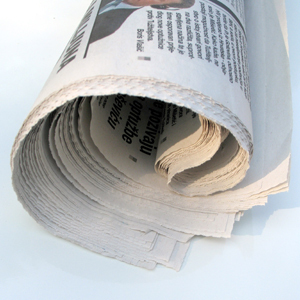 Do you use press releases in your business? Have they been effective?